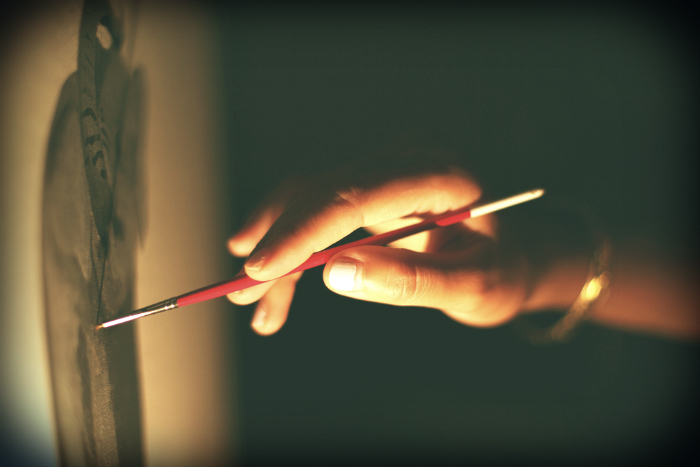 Home › audio mixer › What does a Painting sound like? What does a Painting sound like? Have you ever wondered what your paintings and pictures may sound like? 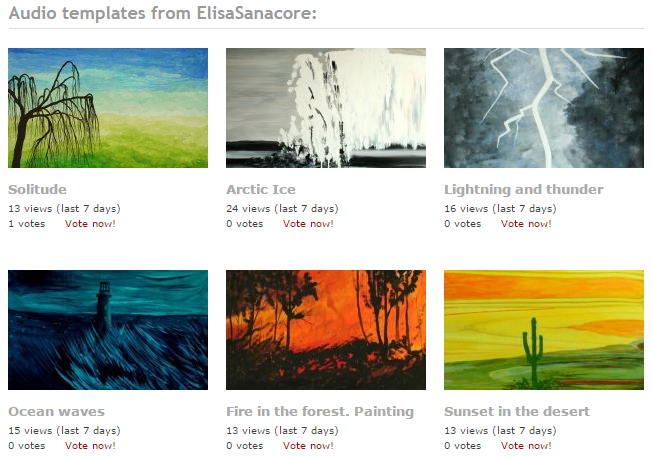 Ambient-Mixer user ElisaSanacore stopped wondering and started making soundscapes for her art! Art is expressive. It is supposed to not only stimulate the viewer. Sure, pictures, paintings, drawings, even photos can create a number of feelings for the viewer. Nostalgia, memories, a feeling of solitude or happiness. Or it can inspire them to think, to find patterns and sense behind what they see on the paper, canvas, or even a computer screen. Yet, art is also there for the artist him or herself. Sure, the feedback from the viewers is important, yet don’t you grab your pen, brush, or mouse to get your own thoughts out on paper in the first place? Creating art is a way of dealing with things, may it be happy memories coming back, or helping to overcome tragedy and loss. Art expresses the feelings, desires, and thoughts of the artist in a visual way. Everyone knows what a thunderstorm sounds like, yet listening to the Lightning and Thunder mix that goes with Sanacore’s “Lightning” painting adds a nice twist to the usual crashing thunders and pouring rain by adding a musical component. Yet, do you know how ice sounds? For her picture “Arctic Ice Melt”, Sanacore created an unexpected synthesizer and wind filled ambient atmosphere. Looking at the picture with these background sounds immediately sets a different mood, maybe one that is closer to what the artist tries to convey with her painting. The same easily goes for the “Weeping Willow” painting that’s accompanied by a sound mix called “Solitude“. The music and slightly eerie sounds in the background change the way you look at this otherwise more bright and vividly colored piece of art. Inspired? Then create your own soundscapes and atmospheres for your paintings, illustrations, or even fanart. To see more of Elisa Sanacore’s art, you can follow the artist on Twitter.